if you're looking for automatic population of required fields, this probably wont impress. there are a lot of fields to fill in and it would be nice if the app could source from other application like "i am responding" or even source information from a calender's for duty crew stats. it's not so much of an issue on a daily basis, but on a busy day when you have back to back calls or doubles, coming back to enter in any more than three runs starts to take up considerable time. on average, entering a call into firehouse for us takes about 8 minutes. not bad alone, but if you get a a lot in a day it can add up quick, especially if you have prolonged operations and have a lot of notes to make or personnel to account for or lost of gear used. it's not a bad system by far, but having a few of the fields automate based on information that already comes in through dispatch could save a little time for every run, and a lot of time in a day. it's not perfect, but it's the best system ive used. especially compared to similar systems like the e-charting used by Life EMS and ProMed. there are a lot of boxes you have to fill in, but there are a lot of options you get to fill in. if there's not a box, there's comments, and everything is kept pretty well organized. we use firehouse for managing payroll and keeping track of any substantial notes of interest for our runs. we dont use it to take notes on what exact medical supplies we used, but we do use it for detailing the more major items. if we have a class 1 and we use the Zoll Zutopulse we'll put that in there, or if we break seals on the narcotics box or iv kit, we will make a note, but this is just for general record keeping, we dont use firehouse for keeping stock of medical supplies. one benefit ive seen in using firehouse is having one centralized location for all major department observations. 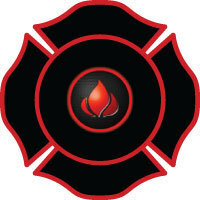 we use firehouse to make notes on vehicle maintenance, tools that are out of service, and general apparatus condition. It is user friendly, easy to navigate, covers all the bases, its a one stop shop. It takes a bit of time to go from paper to a computer program but that is to be expected. Software that covers all aspects of what a Fire Department is responsible for is hard to come by. You can find all the features you need with one program with FireHouse Manager. One login gets you to all of your information. The admin can set the parameters for who can access what features and who can see what information has been entered. It is a great solution to fire department needs and affordable. Inspections, truck checks, inventory, maintenance. It is nice to have everything 'under one roof'. * We monitor all FireHouse Manager reviews to prevent fraudulent reviews and keep review quality high. We do not post reviews by company employees or direct competitors. Validated reviews require the user to submit a screenshot of the product containing their user ID, in order to verify a user is an actual user of the product. Hi there! Are you looking to implement a solution like FireHouse Manager?